SEOPress is a newcomer, but don’t let that scare you. In my testing, it is the best Yoast alternative on the market. Unlike Yoast, SEOPress will not slow your website down. 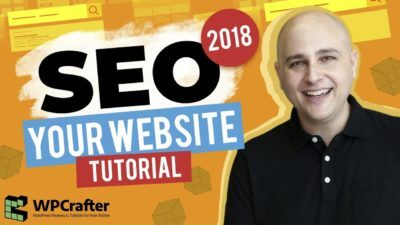 SEOPress does not nickel and dime you to death like Yoast does, everything is included in the Pro version and you can install it on unlimited websites. Really finding it hard to find a problem with SEOPress. There are currently no active SEOPress Coupons or SEOPress Discounts available. Right now I can confidently say that SEOPress is the best WordPress SEO plugin available. Agencies will love the affordable pricing and white label features. All the above numbers are per site where you get all of that for unlimited sites for $39 per year. And with Yoast, there is no white-label option. I really hate to sit here and make all these Yoast comparisons, but it’s just an SEO plugin, they are all pretty much doing the same thing, the same way. But this is the best way to show you the value. I 100% recommend this plugin. Here are some other WordPress SEO Plugins that are great SEOPress alternatives. Sorry to hear about the troubles you and some others have been running into with their support. Sound like they need to scale up their support staff. I have their Pro unlimited license. It has a lot of potential and I love how lightweight it is, but as much as I want to like SEOPress and it has been working well on some of my sites for several months, there are some showstopper problems on some sites that have me going back to Yoast on all my sites. Support is non-existent, even for Pro licenses. I get that they’re a small team and they’ve grown rapidly, but providing reasonable support for paid licenses is crucial. I’ve run into multiple issues with the XML sitemaps that have caused negative ranking issues. Sitemaps lead to 404s on multisite, for instance, and none of the permalink or other suggestions fix it. So I can’t trust it on sites where search engine ranking matters (aka the whole point of the plugin). Yeah I wonder if there is a direct correlation in the price that they choose to charge for this plug-in and the support that they are able to provide. One of the first things I suggested to SEOPress was that they charge double. Not so that people would have to pay double, but so they would be able to have the resources to build a solid product with solid support. I agree with Alex here. I mostly like the software Support is almost non-existent even the Pro licenses. I went for the lifetime deal on Black Friday but I am only using it for my personal sites as the support hasn’t given me enough confidence to install it in critical business sites. I believe, Benjamin, the developer, is the only one giving support right now and it seems that he hasn’t expanded the team at all. I hope this will change in the future. I had massive problems with SEOPress, only way to resolve was to uninstall it. Money for the unlimited PRO license waisted. SEOPress is excellent in marketing gathering superficial positive reviews like this one. So you reached out to their support and they were not able to help you? Sorry to hear that! Stay away from this, I purchased and had problems. First of all google could not read the site map and I could not even display it despite pressing the flush button which is supposed to solve that. Then when I change titles on pages they will not save, they just revert back to the old title. I contacted support and they advised me to alter some code in php file. Well I know nothing about coding and if I have to code a program to get it to work then I do not want it. I asked for a refund and they just ignored me, looks like I will not get a refund so i have just wasted my money as I have gone back to Yoast and that works perfectly. The fact they will not give a refund should tell you alot about them. It would be a good program if it worked but to many bugs. That’s very strange. SEOPress is working great for me here and many other people. Sounds like there may be some sort of conflict with something you have installed on your website. I’m currently using SEOPress for my site but I have a little challenge. My sitemap shows parsing error for my news and video sitemaps on Google Search Console. Do you know how I can fix this? SEOPress support is super slow am I’m a new user. Sorry to hear you are having that issue there. Sadly, I don’t have any pointers for you other to wait on support to get back with you. I think it’s a really interesting plugin that I have been keeping an eye on. Does SEOPress offer breadcrumbs like Yoast? hi i installed free seopress to try it out before considering upgreadig to pro but it does not recognisee any headings wwhich were inserted using the WPBakery page buildere plugin. also sometimes it recognises the title as including keywords and other times it does not if the slug and the title are not identical – confused! It’s most likely because visual composer wraps everything in shortcodes. Hey, probably worth adding that they have a black Friday sale for $99 for a lifetime unlimited license on at the moment. As your review comes up first. Yea that was a good deal for sure. 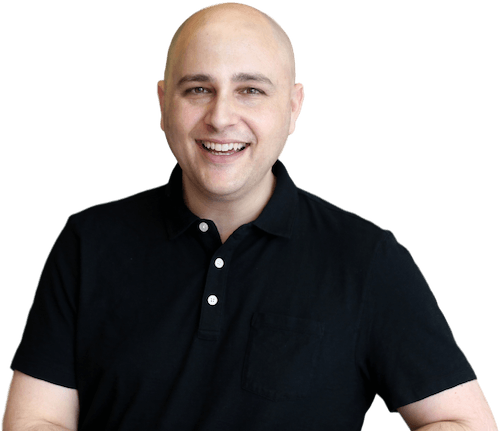 Is it advisable to migrate whole site from Yoast to SEOPress? Yea you can easily do that. Hi Adam, SEOpress are offering this Black Friday deal. I’m still new to WordPress and Elementor so I’m not sure how it can help me. Do you think I should go for it? P.S. your verification software is tough. Took me six goes. Sorry for the late response here, it was a good deal. And sorry about the verification I got rid of that about a month ago. I hear that SEOPress does not read/analyze the content inside of the Oxygen builder. From what it sounds like from the Plugin Author, he doesn’t seem interested in finding a fix for that. Is that a big deal for users with Oxygen Builder 2.0 & above? Your opinions would be appreciated. I think the problem is that Oxygen Builder stores everything in shortcodes in the database. So it probably can’t pars those shortcodes out in order to read the content. Well in regards to Yoast, this just has way more features in the free version and way more features in the Pro version. There is no comparison and cost, Yoast will cost you seven times as much money to get the same set of features. Regarding SEOPressor, that’s an old outdated plug-in that is no longer being actively developed. I personally prefer to use plug-ins that are being actively developed within an engaged developer. Do you have any opinions or how would you compare SEOPress to SEOPressor? SEOPress is a current and modern SEO plug-in for WordPress. The other one you list is old outdated and nearly abandoned. I prefer to use products that are actively being developed and supported. Haha, yea my template design adds that to the review. Just got SEO Press to give it a test run. I installed it on a site where I’m also running Schema Markup from the Brainstorm guys. I noticed this plugin does some Schema as well. Do I need Schema Markup plugin or is SEO Press enough to handle it all? With Schema Pro you can create Schema that you apply via rules and conditions. With SEOPress its one by one. I think SEOPress which is crazy because it’s the lowest prices haha. But really it’s the most modern and lightweight. so what can be done for migrate from yoast to seopres ? You should watch my video on setting up SEOPress because I cover that, and it’s really easy. Thanks, I did that and hope we got a great result, but still, SEOPress have the same issue I faced with Yoast and hope there is some solution for it.